Enjoy your movies the best possible way as you watch them on the Toshiba 32PU200ZE 32 inch LED TV. This black television features a 1366 x 768p full HD resolution that imparts an amazing clarity to the images. With a HD Ready capability, this TV makes the images sharper and worth watching. Other features include 28 video playback formats, 2 HDMI ports, 10 W + 10 W audio output and 1 USB port. 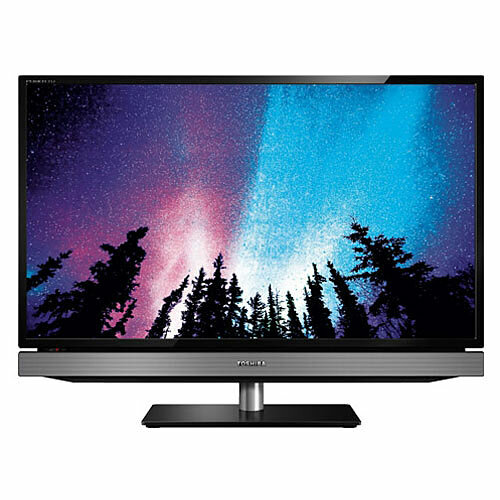 This best Toshiba 32 inch LED TV has an aspect ratio of 16:9 that offers you enhanced viewing pleasure. The 176 degrees viewing angle makes it easy to view no matter which corner of the room you are in. Other features include 320 cd/m², LED backlit module, Contrast Booster, 3D Color Management, Comb Filter, Auto Clean, Audio Signal Booster, 24p, Intelligent Backlight Control, Mpeg Noise Reduction, Real Digital Picture, 2 Built-in Speakers, Game Mode and Hotel Mode.